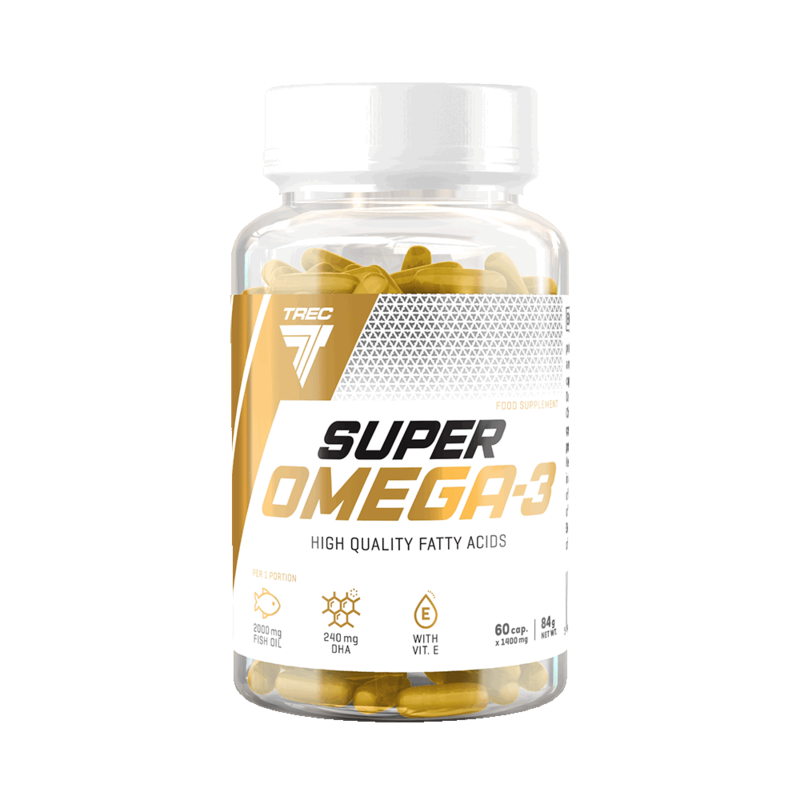 SUPER OMEGA-3 contains ocean fish oil, supplying the body with essential fatty acids from the omega-3 family. The eicosapentaenoic acid (EPA) and the docosahexaenoic acid (DHA) contribute to the proper functioning of the heart. The beneficial effect occurs in the case of consumption of 250 mg of EPA and DHA per day. The docosahexaenoic acid (DHA) contributes to the maintenance of normal vision and normal brain function. The beneficial effect occurs in the case of consumption of 250 mg DHA per day. Take a single serving of the product ‒ 2 capsules with 300 ml of water. Take 2 servings daily, preferably during or immediately after a meal. INGREDIENTS: Fish oil [18% EPA (Eicosapentaenoic Acid), 12% DHA (Docosahexaenoic Acid)]; capsule shell (gelatine, firming agent – glycerol); vit. E (D-alpha-tocopheryl acetate).